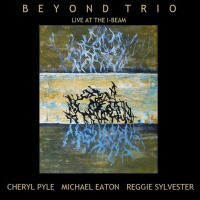 A nice warm sound that is earthy along with some interesting post modern riffs bordering on accessible free jazz only to discover the musicians involved in the project were never actually present in the same room at the time of the recording. An international jazz collective from Russia, Germany and various areas within the United States of America. 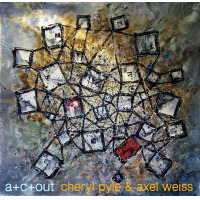 Artists in all genres have occasionally phoned it in" using various electronic platforms with the end result being predictable and incredibly sterile. The opening tune Wonderful Times" has an intriguing swing with a subtle undercurrent of harmonic dynamic tension. A textured sound that brings an amazing sonic depth of field to the forefront. 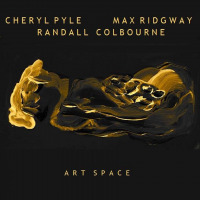 A tune that is a critics worst nightmare and guaranteed to have label executives perched on the nearest ledge as this eclectic ensemble artfully dodges any previously accepted sub-genre jazz has to offer. Kazhargan" is described in the press release and in this context as a word of open interpretation and an invitation for the listener to find the musical path of their choosing. After Time" carries the cool post bop vibe of Miles Davis where trumpet virtuoso Han Peter Salentin tips his musical hat to the icon with a stellar muted trumpet and groove to match. Normally spoken word pieces that pop up in the jazz idiom are like nails down a chalk board for me but not here. 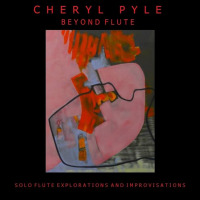 The incredibly open ended sound, all most conceptual by nature is perfectly suited to the occasional spoken word piece by Cheryl Pyle. The zen like approach of Pyle captures the essence of the compositions perfectly. Live Under Water" continues the Miles Davis ambient quality with Salentin's virtuoso like performance. 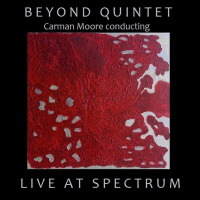 The ebb and flow and effortless cohesion of this large ensemble takes on the feel of the more traditional working band while keeping in mind this recording is all done via the Internet. Irene Was Here" is an expressive ballad and delightful lyrical gem featuring Pyle along with pianist Stan Z. An overall warmth and accessibility permeates Kazhargan World. A world that is a unique and engaging both on a visceral and cerebral level. To achieve an organic base while pushing each individual voice to achieve their own special character under these highly formatted conditions is an amazing accomplishment. 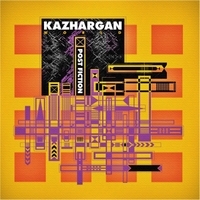 Kazhargan World takes the more free form approach and creates their own post modern hybrid that is a sweeping sound scape of lyrical and harmonic ingenuity. Each musician involved is deserving of high praise. 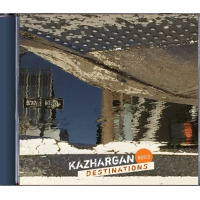 More than a recording, Kazhargan World is a jazz experience that offers the unique opportunity to become a musical blank slate and then create your own world.